In many Wiccan traditions, the Goddess takes a three-fold form, known as the Triple Goddess. Her individual aspects, known as the Maiden, the Mother, and the Crone, are aligned with the phases of the Moon’s cycle as it orbits the Earth—the waxing crescent, the Full Moon, and the waning crescent. These aspects also represent the three phases of a woman’s life in terms of physical reproduction—before, during, and after the body’s ability to have a child. 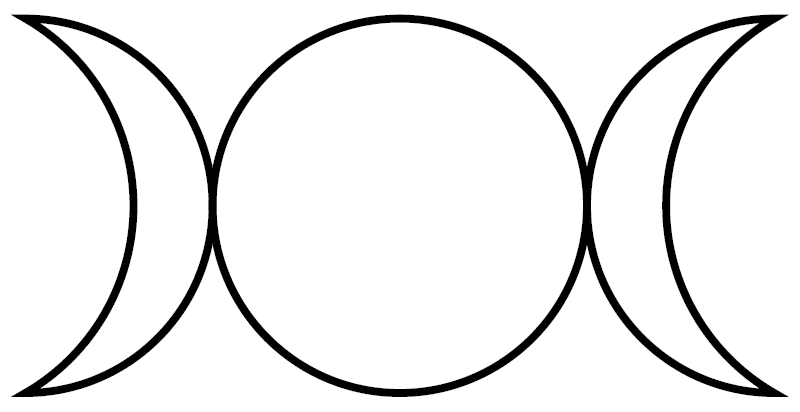 But while a woman will proceed linearly through these phases in a literal sense during her lifetime, each aspect of the Triple Goddess has qualities that all of us—male and female—resonate with at various points in our lives. Indeed, the three-fold form of the Goddess could be said to reflect the complexities of the human psyche, as well as the cycles of life and death experienced by all who dwell on Earth. The concept of a triple deity can be traced back to ancient civilizations, such as the Celtic goddess Brighid, who rules over three crucial skills within Celtic society: healing, poetry, and smithcraft. Another example is the goddess Hera, who has three different roles in Greek mythology: Girl, Woman, and Widow. These major goddesses were likely at least part of the inspiration for an important book in the history of Wicca’s development: The White Goddess: a Historical Grammar of Poetic Myth by Robert Graves. Graves was a British poet and scholar, writing around the time that Gerald Gardner and others were first practicing their form of Witchcraft which eventually became known as Wicca. The White Goddess made the case that cultures throughout pre-Christian Europe and the ancient Middle East worshipped a White Goddess of Birth, Love, and Death, and that she had different names in different regions. Other, earlier writers also described a Triple Goddess, including Aleister Crowley and Sigmund Freud. 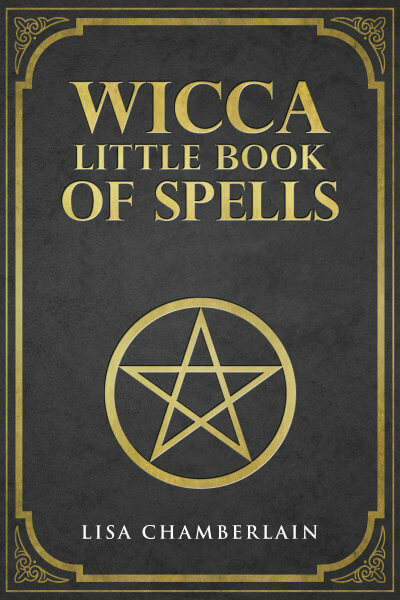 Gardner himself did not worship the Triple Goddess in his tradition, but other Witches of the time were drawn to her, including Robert Cochrane, who is often credited with bringing her into the modern Witchcraft movement. However, it was during the 1970s that the Triple Goddess as we know her today—Maiden, Mother and Crone—became firmly rooted in many forms of Wicca. But rather than being a single identity taking different forms, the Wiccan Triple Goddess is typically represented by three separate deities, each an aspect of the Goddess in her own right. These may be borrowed from one or more ancient cultures. For example, many worship Diana (Roman) as the Maiden, Isis (Egyptian) as the Mother, and Kali (Hindu) as the Crone. These designations are rooted in the individual deities’ roles within the cultures they are borrowed from. Isis, for instance, was a mother goddess in ancient Egypt. Each aspect within the Triple Goddess is associated with particular seasons and other natural phenomena, as well as human characteristics and elements of life on Earth. These associations can be used to call on the appropriate aspect of the Goddess during magical work, ritual worship, and prayer. The Maiden aspect aligns with the crescent-to-waxing phase of the Moon, and represents the youthful phase of a woman’s life. This is the time of growth, reflected by the waxing of the Moon as it moves toward fullness. In the cycles of Nature, the Maiden is associated with dawn, sunrise, and the Spring season. The Maiden represents beauty, fresh potential and new life. In human beings, she is associated with the qualities of innocence, youth, self-confidence, intelligence and independence, and with activities relating to exploration, discovery, self-expression, and creativity. 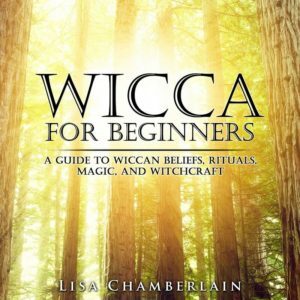 Wiccans may worship the Maiden in the form of the Greek goddesses Persephone and Artemis, the Celtic Rhiannon, and/or the Nordic Freya, among others. At the Full Moon, the Maiden becomes the Mother, giving birth to all of the abundance on Earth. She is associated with midday, and her season is Summer, the most lush time of year, with forests and fields flourishing and young animals growing into maturity. In the human realm, she is associated with nurturing, responsibility, adulthood and the fullness of life. As the giver of life, she is the aspect most associated with manifestation. In fact, the Mother is considered by many Wiccans to be the most powerful of the Goddess’ three aspects, and it was a “Mother Goddess” archetype that inspired Gerald Gardner’s vision of the divine feminine. Goddesses who represent the Mother at many Wiccan altars include the Greek Demeter and Selene, the Roman Ceres, and the Celtic Danu and Badb. As the Moon wanes and the darkness of the night sky grows, the Crone steps into her power. Called the “Hag” in earlier iterations of the Triple Goddess, she represents the post-childbearing years of life, and is associated with Autumn and Winter, sunset and night, and the winding down and ending of the growing season. The Crone is the wise elder aspect of the Goddess, and governs aging and endings, death and rebirth, and past lives, as well as transformations, visions, prophecy, and guidance. Although feared as an archetype for millennia, she is the one who reminds us that death is part of the life cycle, just as the Moon's dark phase precedes the New Moon. The Crone is often represented by goddesses associated with death and the underworld, such as the Greek Hecate, the Russian Baba Yaga, and the Celtic Morrigan and Cailleach Bear. The Triple Goddess is indeed a diverse and complex expression of the divine feminine. For those who worship her, she provides constant opportunities to learn and grow through connecting to her three aspects. Whether you recognize ancient goddesses as aspects of the Triple Goddess, or simply honor the Maiden, Mother, and Crone archetypes, you can make a conscious effort to align your worship with the cycles of the Moon for an even deeper, more rewarding spiritual connection.